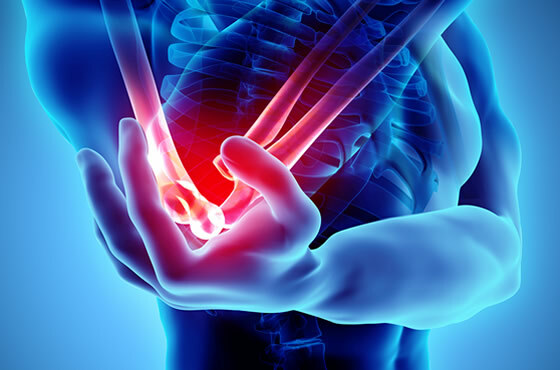 Fractures, dislocations, tears and other injuries can occur to the elbow, causing intense pain and limiting arm mobility. Dr. Kerisimasi Reynolds offers advanced orthopedic treatments and surgery options for elbow conditions, ranging from sports-related injuries to degenerative diseases. If you live in the Bay area, you have access to Dr. Reynolds’ expertise in repairing elbow conditions, often using minimally-invasive techniques for improved recovery. Dr. Reynolds’ expertise in arthroscopy, cartilage restoration and joint realignments using cutting-edge techniques has helped his patients recover from complicated elbow conditions. Whenever possible, Dr. Reynolds uses minimally-invasive approaches that offer quicker recovery and fewer risks for his patients. His goal is to help restore full function whenever possible – many of Dr. Reynolds’ patients have been professional athletes that depend on his skills to recover quickly from elbow injuries and return to their career. If you have experienced an elbow injury or are suffering from a degenerative elbow condition, contact the practice of Dr. Reynolds in San Jose. We accept many insurance plans to help cover the costs of your orthopedic treatment and you can expect excellent care when you choose us for your orthopedic care.